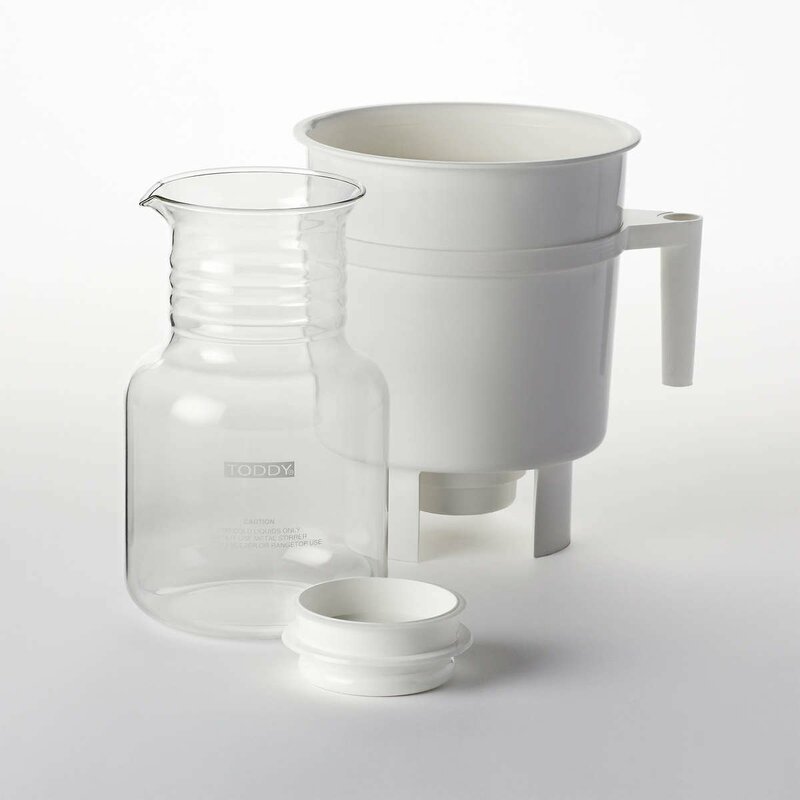 Order Toddy Cold Brew System From Klatchroasting Inc.
What's in the box: Brewing Container with Handle, Glass Decanter with Lid, Reusable Filters (2), Rubber Stopper (1), Instructions & Recipe Guide. 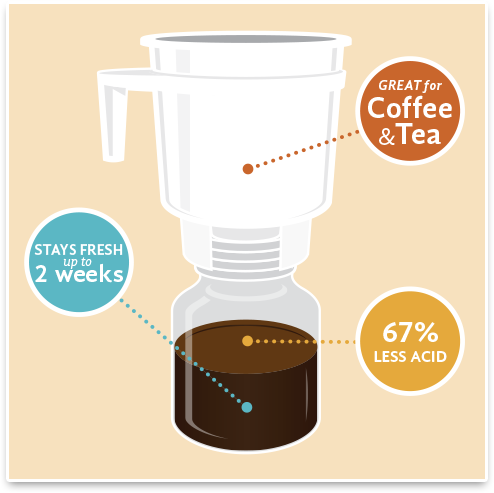 The Toddy coffee maker extracts the coffee bean's true delicious flavor and eliminates much of the acidity, producing a bold, super-smooth coffee that can be served one cup at a time. 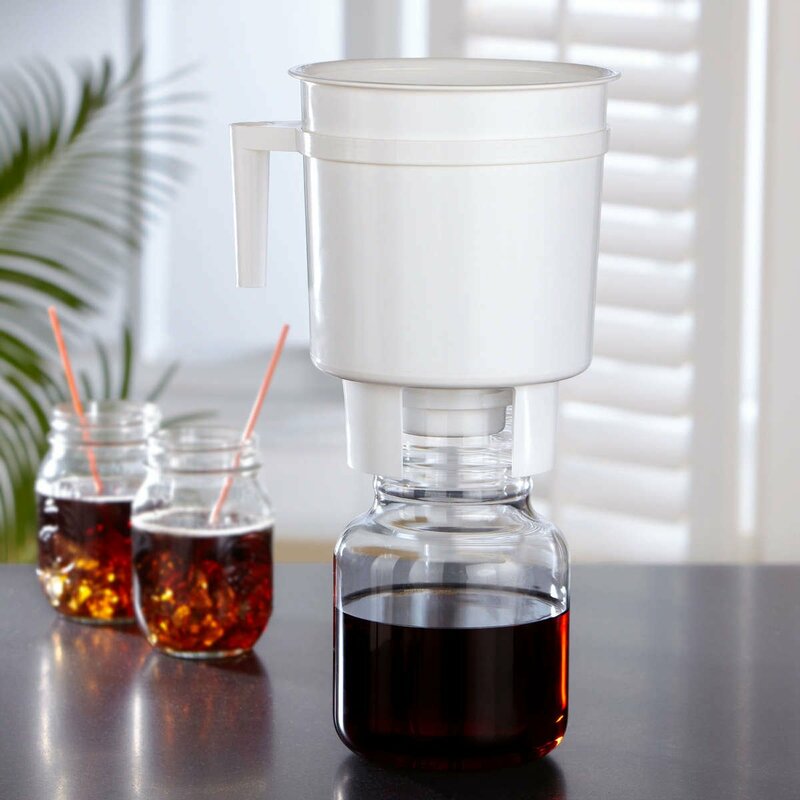 The Toddy brewer is also ideal for making tea - served hot or over ice. Used by World Champions Todd Goldsworthy and Heather Perry.